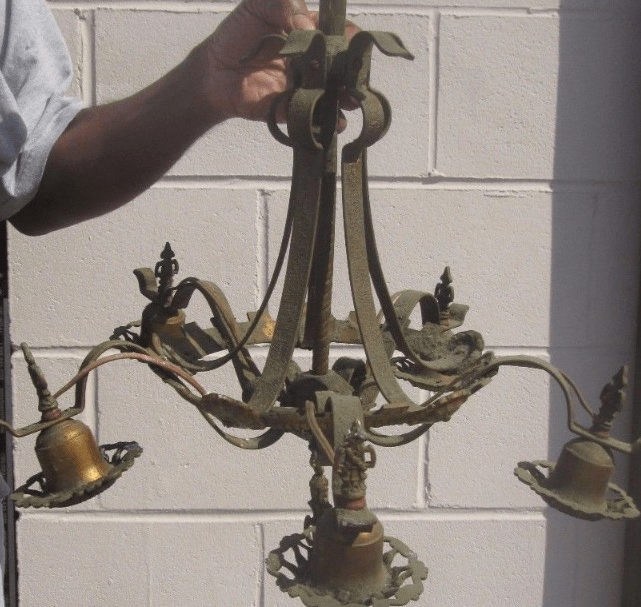 I found this circa-1930 chandelier online. This was the best of several images, and you can see how poorly the fixture was presented. 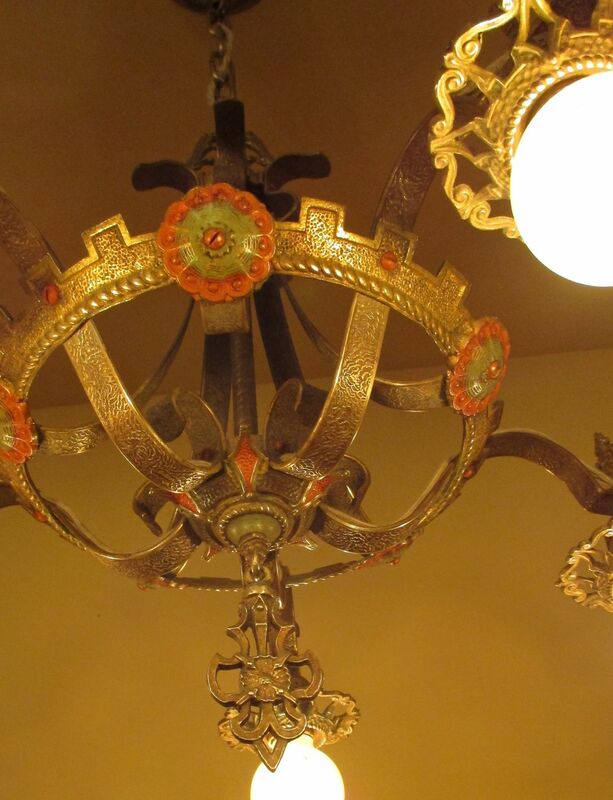 Not surprisingly, I was the only bidder, and only because I had previously sold the fixture so knew how gorgeous it actually was. Gorgeous, indeed! 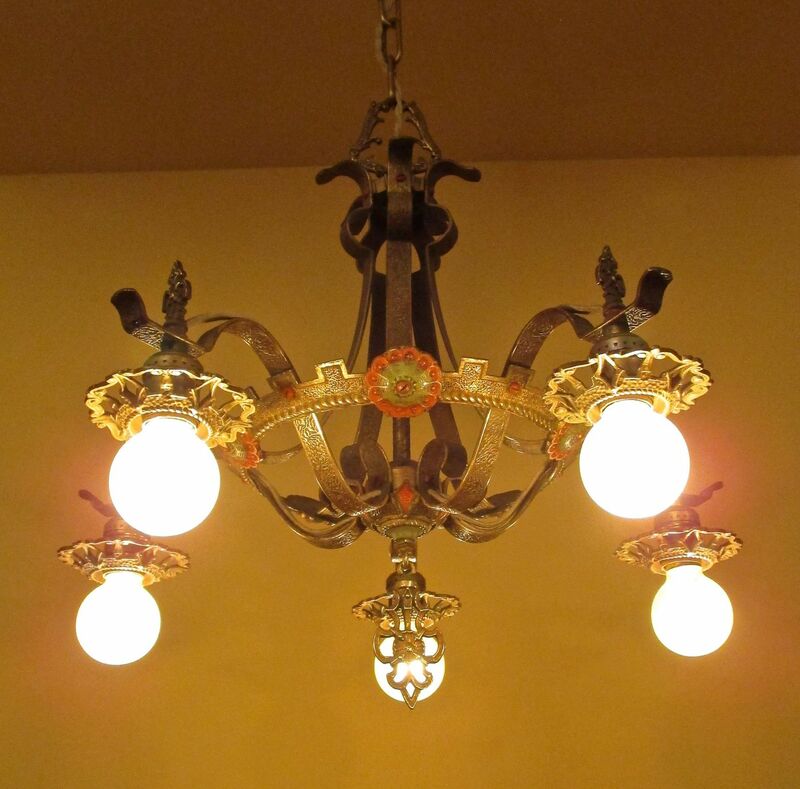 The fixture was really dirty and took a long time to clean, all the while protecting the original finish. But the results were worth the effort. The finial is great, too. Note also the rich inset designs.